When trying to live a healthier lifestyle, it seems there’s often a choice that gets made between what’s convenient and what’s healthy. Most of my downfalls, when I end up eating something unhealthy, is when it’s for convenience. It’s often more convenient to have an unhealthy snack, or unhealthy meal, than to make my own healthy meal. So, a great way to keep healthy is to have nice, healthy snacks around. Balance Bar makes lots of healthy energy bars that make a great alternative to the unhealthy snacks we’re surrounded with. I got the opportunity to review some Balance Bars, and was very excited to do so! 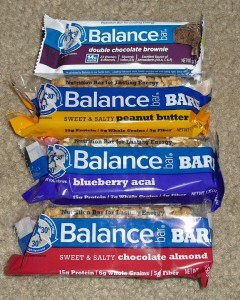 I received some Balance Bar Bare bars in Blueberry Acai, Sweet & Salty Chocolate Almond, and Sweet & Salty Peanut Butter. I also received some Balance Bar Original Double Chocolate Brownie bars. 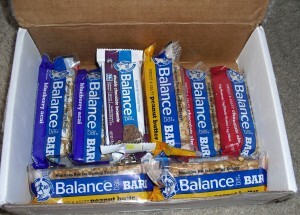 As you can see, the Balance Bar Bare bars are more granola, trail mix-like, with whole grains. While the original is just like the original Balance Bars. They all have the Balance Bar 40-30-30, a balance caloric ratio of 40% carbohydrates, 30% protein and 30% fat. This helps give you long lasting energy. 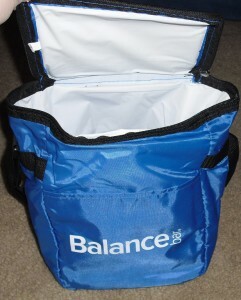 The travel cooler will definitely come in handy during the summer. It’d be great for small picnics, or even for bringing lunch to work or school. It’s nicely insulated to keep things cool, you just have to put an ice pack in it. I must admit, I’m not normally a fan of energy bars. However, I really did like the Balance Bar Bare bars. My favorite was the Sweet & Salty Peanut Butter. It had a nice nutty taste, and didn’t taste overly artificial to me, like some energy bars tend to do. It’s also just nice, and convenient to have a healthy snack around. My least favorite bars were definitely the Balance Bar Original Double Chocolate Brownie. I just don’t like the taste of them. However, these were my fiance’s favorites. He loved the chocolatey taste, and thought they were very similar to real brownies. He really liked having them as a nice snack alternative. So, to each their own! Balance Bar also has a lot of great tips and advance for staying fit, and healthy during the summer. They have an entire Lifestyle section to their website, with lots of great advice to help lead a healthier lifestyle. They also have great videos on their Facebook page, such as this video, Airport Workout Tips. Balance Bar is also leading a Twitter chat on June 26, at 2pm EST. You can find the information for the Twitter chat on the Balance Bar Blog. It will have lots of tips, tricks and advice from specialists about how to stay healthy and balanced this summer. You can tweet in your questions, and in doing so get entered to win the very kit I received! Pretty neat! 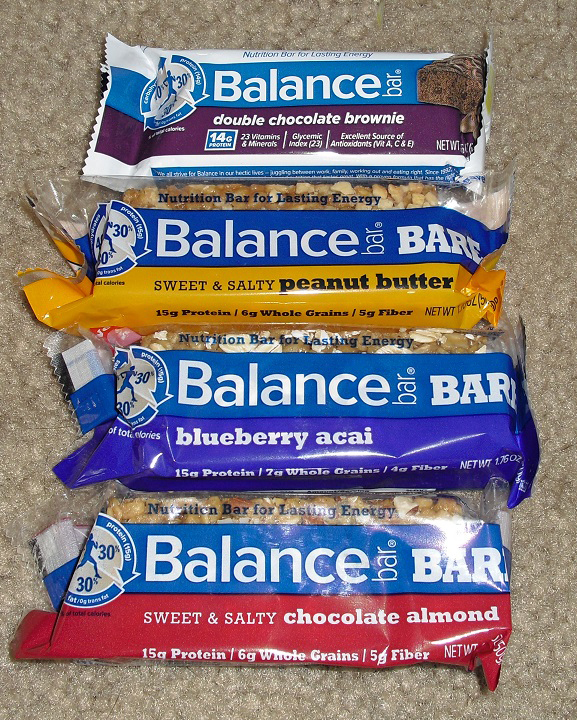 Buy it: You can buy the Balance Bars seen here, and many others at grocery stores near you, or at the Balance Bar Website. Connect: You can connect with Balance Bar and join their twitter chat by following their Twitter page. You can also connect with Balance Bar on their Facebook. 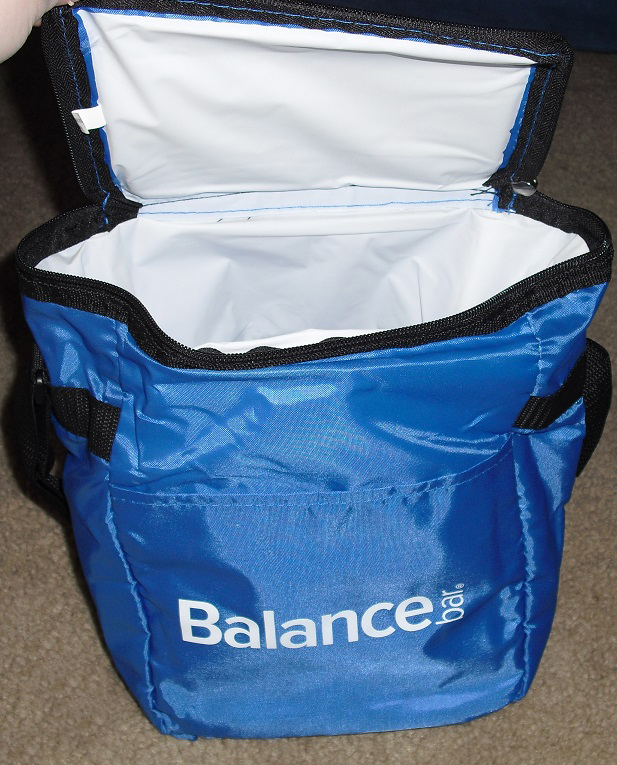 Win it: One lucky reader will win the Balance Bar prize pack seen here. This giveaway is open to US Residents 18 years of age an older. This giveaway ends July 9, 2013 at 11:59 PM EST. To enter, just fill out the Giveaway Tools Form below. Good luck! How do these bars compare with high protien/low fat/low sugar bars? Does the taste make me want to come back for more, after my first one? I thought the Original Balance Bars were more like normal high protein bars, as far as taste is concerned. I normally don’t like protein bars, and if I ever have them, I only eat them if I’m on the go and really hungry. However, the Balance Bar Bare Bars were really yummy. They taste a bit more like a yummy, nutty granola bar, but have more nutrients. 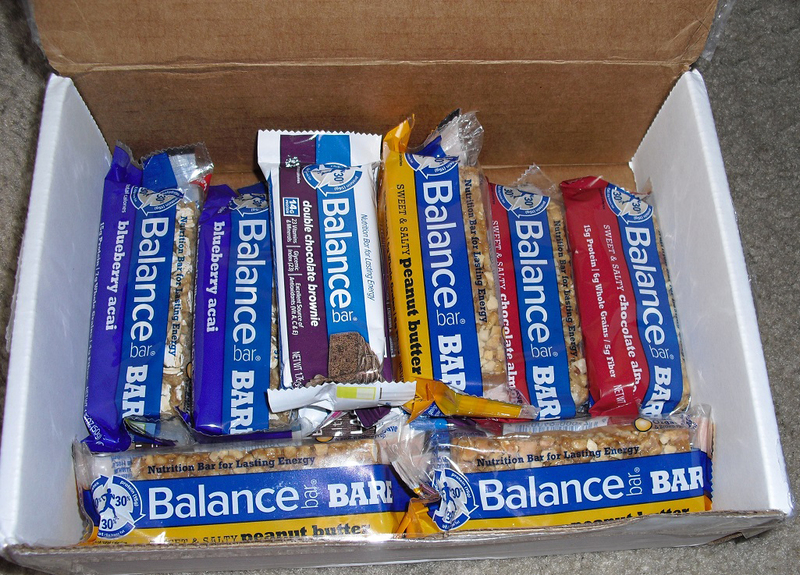 I definitely found myself actually wanting to eat the Balance Bar Bare variety when I was hungry, because they were really tasty.